I am Mummy to 3 children. Harry and Matthew are 3 and Lauren is 10. I am also a teacher to 30 children and believe me, it is easier to go to work than it is to keep these 3 occupied for the entire summer holidays. 6 whole weeks of having to occupy those tiny minds when they only want to do what they want to do...which usually involves messing with what they shouldn't mess with! As a Mummy who will be at home all day, every day, I already know, from experience, that it's going to be tough. My dreams of being a 'stay at home mum' who bakes and crafts and visits the park are often long gone by lunchtime on the first day. It's exhausting and somewhat monotonous unless you find a way to grab some 'me' time for yourself in the middle of it all. Here is a 'tongue in cheek' look at how I may have kept my littlests occupied in the past. 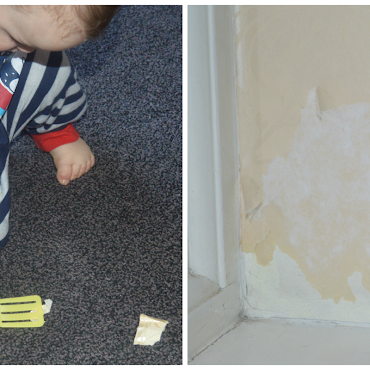 Buy them a plastic cooking utensils pack and let them pull the wallpaper off your wall and fry it on the carpet. Pros - Buys about 15 minutes time and gets you the chance to completely redecorate the whole room! 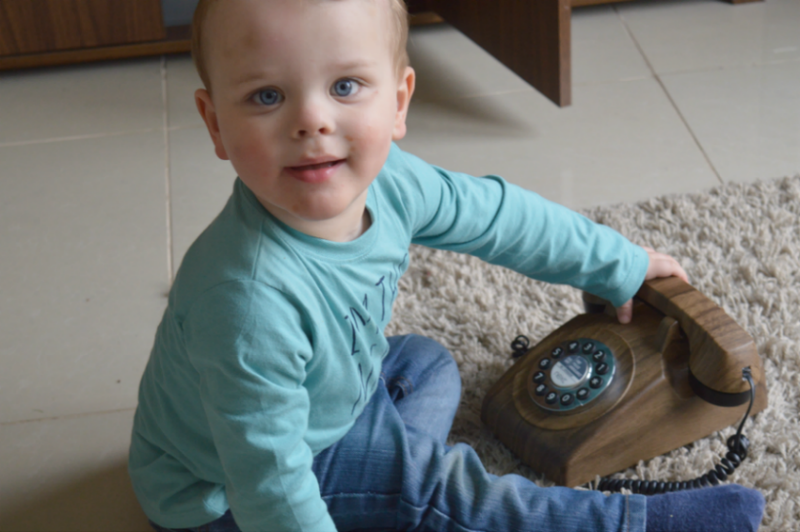 Cons - Can be costly and your room looks a right mess and you'll find yourself having to look at it constantly, when you do eventually have carpet time, playing with your children. Buy a new ornament, if it can be a phone, even better. Let your children disconnect it from the wall and practice their language skills by shouting for Grandma down it. Don't waste your time getting up and taking it off them, they'll only get it again. Let them have their fun! Pros - This one will buy you about 20 minutes, if you don't intervene. The kids are practicing their social skills, so it's all good! Cons - You may be left un-contactable for the remaining days and weeks that are left of the holiday. They will break the phone and nobody will be able to ring you, to invite you out on fancy play dates. Let your children visit an art gallery in your lounge. Just give them free access to all the pictures they shouldn't be able to reach, but can, and let them look carefully at the artist's technique and the colours used etc. Pros - They are learning about colour and practicing their climbing technique. You will be amazed at their abilities. How did they get that off the wall? Cons - they might use the cooking utensils you bought them, to slice through the canvas. Make them a drink and then sneak off somewhere for some peace and quiet. Your child will enjoy pouring it all over your furniture and then patting it with their hands so it goes all over the wallpaper that you're going to be replacing anyway. Pros - you're changing the wallpaper anyway and with a bit of luck, you're carpet will be ruined too, so you can get a new one of those too. Cons - Don't give them milk - It stinks! Disclaimer: All of the above pictures were taken when my 2 little monkeys were growing up. I probably, in all seriousness, only had my back turned for a couple of minutes each time. As they've got older, I still manage to find snippets of 'me' time. The consequences are pretty much the same though. I sometimes 'accidentally' leave the ribbon off the fridge door, so they can raid it. I like to pretend that they're not really messing with the outdoor water tap. If you want to be boring, you can visit my Pinterest page instead. It has loads of ideas for how to be a yummy mummy, this summer - get your apron out!